This might be just the book for readers who are convinced they won't enjoy science fiction or dystopian fiction. A Young Adult book scheduled for release in June of 2012 (available for pre-order now), The Age of Miracles is an absorbing and studied glimpse into the world of an adolescent as she struggles to grow up while the earth is slowly coming to an end. The earthquake which caused the 2004 tsunami in Indonesia was so massive that it actually quickened the earth's rotation and our days were shortened by a fraction of a second. This true event sparked the idea for Karen Thompson Walker's beautiful fiction debut, The Age of Miracles, only she chose to slow the earth's rotation down, which became a much more eerie approach to the end of the world. The California suburbs are just like any other: the day begins and ends, children go to school, parents go to work. But on one day, eleven-year-old Julia is settling down to breakfast with her family after a sleepover with her best friend when national news releases a breaking announcement. The earth, which has reliably spun on its axis since the beginning of time, is now slowing down. And slowing down fast. Before just a few weeks have gone by, an extra hour and a half have been added to a total day, increasing it from 24 hours to more than 25. And it continues to slow. At one point, 50 hours comprise one total day. Everything changes. Animals suffer and crops begin to die after too many hours under the hot sun. Solar storms begin and some people are more physically affected by the slowing than others. Even Julia's own family begins to suffer personal changes that are heartbreaking for her. It's a frightening time and society begins to separate between "real timers," those who now choose to live their life by the daylight, and "clock timers" the rest of society who live on the standard twenty-four hour clock no matter how many hours are newly added each day. And adults continue to go to work while their children go to school to maintain a routine way of life at the most unsure period in human existence. I was surprised by this story, and thrilled that I enjoyed it as much as I hoped I would when I read the synopsis. The layered story lines in this quiet novel were mesmerizing, beautifully depicting the changes for both Julia and the earth, all while she tries to find her own place in it all after losing her best friend, dealing with bullies at school, loneliness, and falling in love. The world is changing each day, but life still has to go on. The greater issue of the world ending lurks menacingly, but Julia's coming-of-age takes the front seat and is heartfelt and sad. It was a beautiful and captivating read, thoroughly genuine in its description of each event in Julia's life and the world as the evolution of society's decay occurs, from order to confusion. The hints at ultimate chaos were unsettling and while I'm no expert on what might happen should the earth's axis ever slow down, each event made complete sense, never once nudging me to jump on the internet to look something up. Everything seemed to snugly fit, and the writing was fluid, effortless in each painful coming-of-age moment amidst eventual chaos. Karen Thompson Walker's debut novel is a quiet story, about a young girl coming of age at the end of the world. Frightening, thoughtful, and genuine, Karen Thompson Walker's debut novel portends of much, much more to come from this new author. Not surprisingly, The Age of Miracles has been optioned for the big screen by River Road Entertainment. If I've missed your review, let me know so I can add it here. FTC Disclosure: I received an advanced uncorrected proof from Random House through Netgalley. 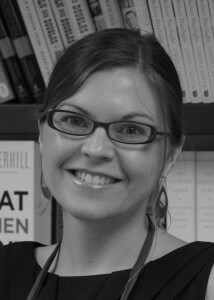 Karen Thompson Walker is a graduate of UCLA and the Columbia MFA program and a recipient of the 2011 Sirenland Fellowship as well as a Bomb magazine fiction prize. A former editor at Simon & Schuster, she wrote The Age of Miracles in the mornings before work. Born and raised in San Diego, she now lives in Brooklyn with her husband. The Age of Miracles is her first book. 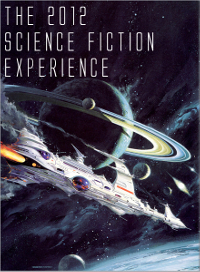 This is my third selection for the Science Fiction Experience, hosted by Carl at Stainless Steel Droppings. All reviews from Experience participants can be found here. Wow, this sounds really interesting! I'm not into sci-fi, but I might be able to handle something like this. At first when you talked about more hours in the day I thought "ooh awesome!" but then the next sentence was about animals suffering and all that and I thought "oh my bad" lol. Very interesting. And I did not know that our days had been shortened by seconds... wow! Great review, Natalie. I am not much for Dystopian fiction, I admit, but you have me interested in this one! Wow, I think I might enjoy sci-fi like that. It sounds scary in a way! I have been kind of longing for some ya dystopian. This is such a fantastic and unusual premise - the way you've described it here has me wanting to start this book immediately. Great, great review - I'm putting this high on my to-read list. This book reminds me a little of The World as We Knew It, which is one of my daughter's favorite series. I like what you have to say about this books, and think that I would enjoy reading it. It does sound like at times, it makes you scoot to the edge of your seat, and since I love dystopians, I need to look for this one when I can. Fantastic review today, Natalie! We are going to have this book on tour this summer and I can't wait!! It sounds so good! Kinda reminds me of Life As We Knew It, which my kids and I all loved. Ahhh, I knew I should have requested an advance on this one. Now I'm sure I'd like it. Nice review. I love this premise and have never heard about a book like this before. I'm excited to read it when it comes out. This is such a great review. I have been curious about The Age of Miracles, especially because of all of the publishers who were anxious to get the rights. I can't wait to read it and see what I think of it too. Beautiful review, Natalie. I feel like I should put off all my errands today to start this book! I have to read my bookclubs book first though and now I'm wishing I had picked this book for it. It's not a young adult novel really, the voice is all wrong and I don't think it's even being marketed as such. I actually found Julia less developed than the average YA book personally! I think I was the opposite to you, was expecting too much and then felt disappointed because it didn't live up to my expectations. I'm not a huge fan of coming of age stories anyway.